A dog inadvertently started a small fire in Austin, Texas this week. The temptation here would be to say, “oh, bad dog,” save for two things. Item one: All dogs are good dogs. Item two: It’s because he or she was trying to get a pizza, and who among us has not started a teeny tiny fire in our haste to devour a pizza? First things first: Everyone is fine, and the Austin Fire Department says there was only minor damage to the stove and kitchen (around $1,000, which is a lot of money, but it could have been a lot worse). The fire started when the canine in question caught a scent on the air, and that scent was pizza pizza pizza pizza pizza pizza pizza pizza pizza pizza pizza pizza pizza pizza pizza pizza pizza pizza pizza pizza pizza pizza pizza pizza pizza pizzaaaaa. So the pup tried to snag some, inadvertently switched on the oven, and one thing led to another. Here’s the little guy, probably still hungry. 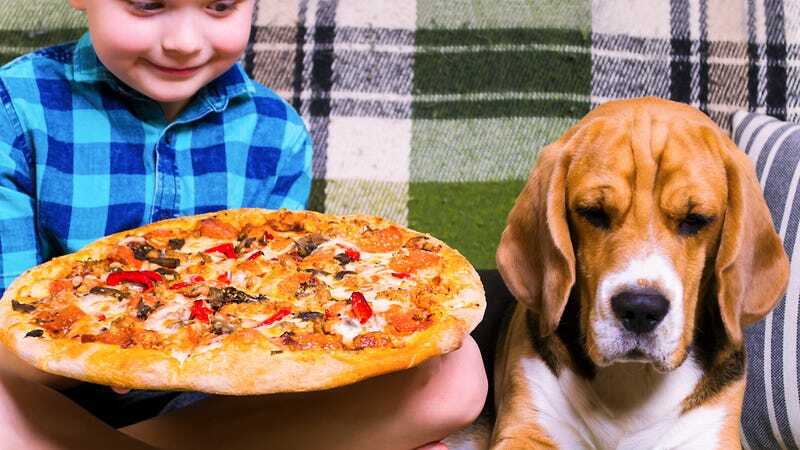 It is unclear whether or not the doggo ever got the pizza. In related news, a yearling bear also got a hankering for pizza this week. This little guy climbed a tree to get to a patio; the diners obviously cleared out and let the bear eat the pizza. He managed to do so without starting a fire, so bear: 1, dog: 0.